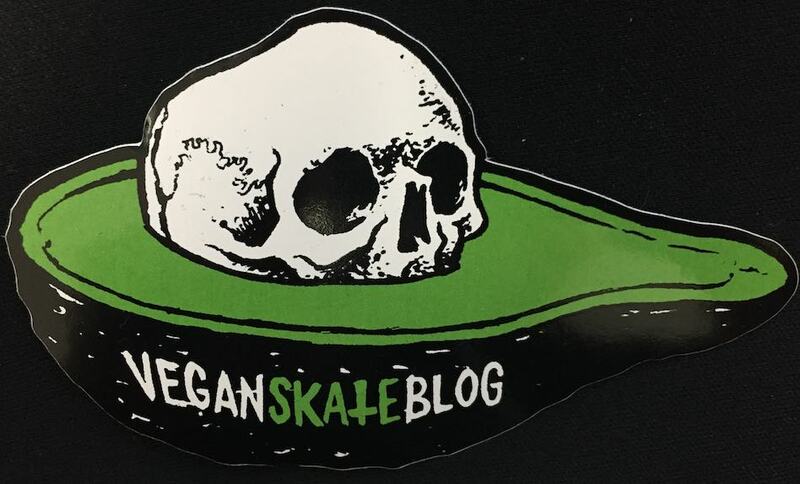 Vegan Skate Blog Avocado Skull Pit T-Shirt!!! Our infamous Avocado Skull Pit is a hight quality die-cut stickers. Sold in packs of 6. They measure about 5 inches long and 3.5 inches tall . All for 5 bones, 7 international. that includes shipping. Not a bad deal. We’ve had to cut the international sticker orders. Shipping is just too expensive. 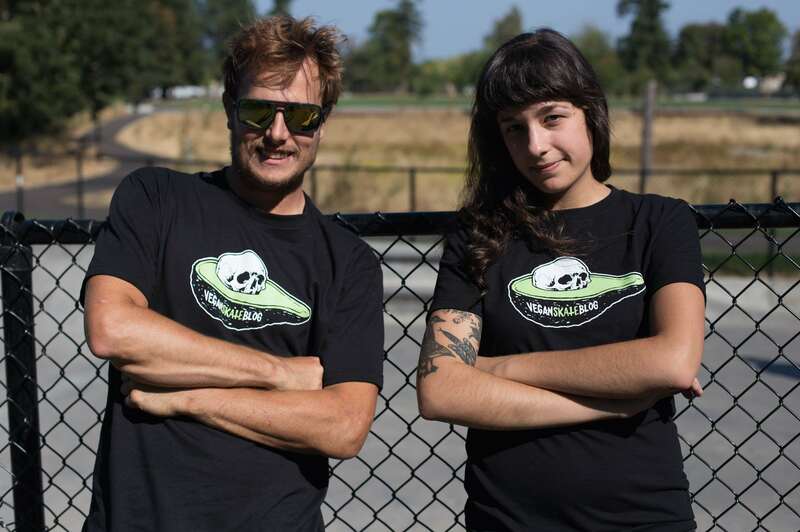 If you’re ordering a T-Shirt though, we will be sure to drop in a few Avocado Skulls. I’ve got the avo-skull one on my car, hoping this will start up a conversation with the woman with the “damn it feels good to be vegan” sticker on her car at my gym. It’d be nice to finally meet another fellow veg head in this town. I may even get a quick shot of it for my full length vid if that’s okay. Just picked up my pack. Keep up the good work! Uhhh… I’m looking forward to get some of those stickers. You have done a great job with this blog. Everyday at work I’ve to take a look about what’s new here… Grrrreat!! you going to do t shirts?